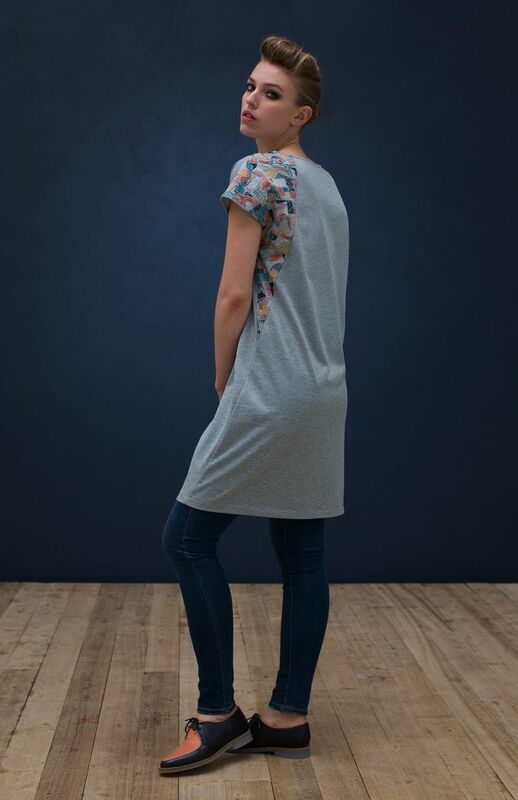 Clothing by Elk Accessories, Size S. The Borduren Jersey Dress is made from 100% terry cotton enabling it to be worn all year round. A box shape with a diagonal patch which has been carefully embroidered with sharp lines and geometric shapes. The pattern has been thoughtfully put together to recreate an Aztec theme and a unique texture. It can be layered over skinny leg jeans or tights and boots. 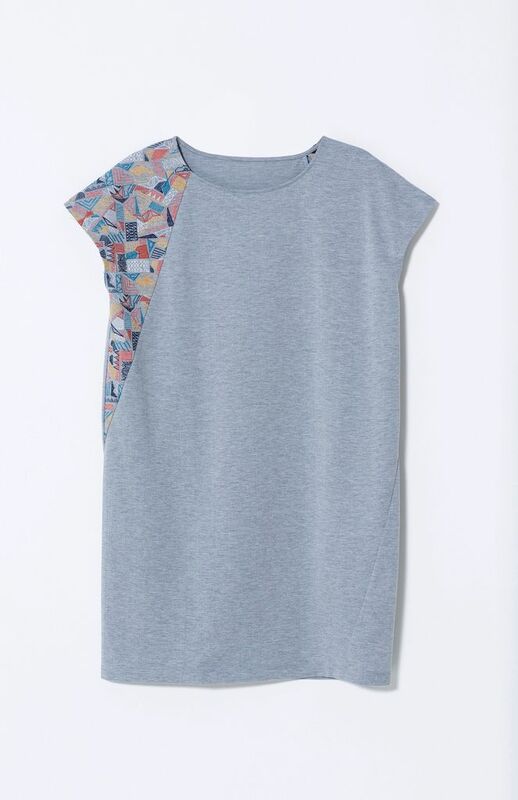 Grey with Multi-coloured embroidery.